Councilmembers Adrian Fenty, Vincent C. Gray, and Kwame R. Brown introduced the following bill, which was referred to the Committee on Finance and Revenue. 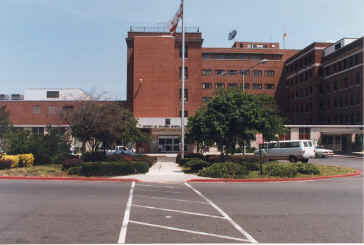 To provide for the issuance, sale, and delivery of up to $1 billion in revenue bonds, in one or more series, to finance the reconstruction, renovation, and emergency maintenance of public school facilities; to require the Board of Education to adopt a Multi-Year Facility Plan to guide the expenditure of monies generated from the Bonds; to require the District of Columbia Auditor to report to the public on annual progress with respect to the MultiYear Facility Plan; and to amend the Law to Legalize Lotteries, Daily Numbers Games, and Bingo and Raffles for Charitable Purposes in the District of Columbia to dedicate up to $60,000,000 per annum to the repayment of Bonds issued pursuant to this act. BE IT ENACTED BY THE COUNCIL OF THE DISTRICT OF COLUMBIA, That this act may be cited as the "School Modernization Financing Act of 2005". (1) “Board” means the District of Columbia Lottery and Charitable Games Control Board established by the Lottery Act. (2) “Bond Counsel” means a firm or firms of attorneys designated as bond counsel from time to time by the Mayor. (3) “Bonds” means the District of Columbia revenue bonds, notes, or other obligations (including refunding bonds, notes, and other obligations), in one or more series, authorized to be issued pursuant to this act. (4) “Closing Documents” means all documents and agreements other than Financing Documents that may be necessary and appropriate to issue, sell, and deliver the Bonds contemplated thereby, and includes agreements, certificates, letters, opinions, forms, receipts, and other similar instruments. (6) “Financing Documents” means the documents other than Closing Documents that relate to the financing or refinancing of transactions to be effected through the issuance, sale, and delivery of the Bonds, including any offering document, and any required supplements to any such documents. (7) “Home Rule Act” means the District of Columbia Home Rule Act, approved December 24, 1973 (87 Stat. 774; D.C. Official Code § 1-201.01 et seq.). (8) “Lottery Act” means the Law to Legalize Lotteries, Daily Numbers Games, and Bingo and Raffles for Charitable Purposes in the District of Columbia, effective March 10, 1981 (D.C. Law 3-172; D.C. Official Code § 3-1301 et seq. ), as amended. (1) Section 490 of the Home Rule Act provides that the Council may by act authorize the issuance of District revenue bonds, notes, or other obligations (including refunding bonds, notes, or other obligations) to borrow money to finance, refinance, or reimburse and to assist in the financing, refinancing, or reimbursing of undertakings in certain areas designated in section 490 where the ultimate obligation to repay such revenue bonds, notes or other obligations is that of one or more governmental persons or entities. (2) Section 490 of the Home Rule Act provides that revenue bonds may be issued to finance capital projects for elementary and secondary educational purposes. (3) Across the District of Columbia, the lack of sufficient, stable capital funds available for public school renovation and construction has contributed to the aging and deterioration of school facilities into a generally unacceptable condition that often impedes education and undermines safety. As a result, there exists a critical need for an infusion of capital funding to modernize public school facilities in the District. (4) The issuance of Bonds is in accordance with the intent of section 490 of the Home Rule Act and will promote the education and general welfare of District residents. (a) Pursuant to Section 490 of the Home Rule Act, the Mayor is authorized, beginning October 1, 2006, to issue up to one billion dollars ($1,000,000,000) in bonds to assist in financing, refinancing, or reimbursing costs of undertakings by the District to modernize, renovate, or construct public school facilities in accordance with the Multi-Year Facilities Plan developed pursuant to section 14. (b) The Bonds may be issued from time to time, in one or more series, and shall be tax-exempt or taxable as the Mayor shall determine. The Bonds shall be secured by and solely payable from monies deposited in the Lottery and Charitable Game Fund established under section 4 of the Lottery Act; provided that the total amount of monies allocated annually to pay debt service on such Bonds shall not exceed sixty million dollars ($60,000,000) per annum. (c) The Mayor is authorized to pay from the proceeds of the Bonds the costs and expenses of issuing and delivering the Bonds, including, but not limited to, underwriting, legal, accounting, financial advisory, bond insurance or other credit enhancement, marketing and selling the Bonds, printing costs and expenses, and direct costs of preparing the annual report issued by the District of Columbia Auditor pursuant to section 14 of this act. (d) Except as provided in subsection (c) of this section, all proceeds from the issuance of the Bonds shall be transferred to the Board of Education to finance, pursuant to section 14 of this act, the renovation, reconstruction, or modernization of public school facilities or capital improvements to remedy deferred maintenance, including the replacement of roofs, windows, and systems for heating, cooling, or ventilating school facilities. (b) The Bonds shall contain a legend, which shall provide that the Bonds are special obligations of the District, are without recourse to the District, are not a pledge of, and do not involve the faith and credit or the taxing power of the District, do not constitute a debt of the District, and do not constitute lending of the public credit for private undertakings as prohibited in section 602(a)(2) of the Home Rule Act. (c) The Bonds shall be executed in the name of the District and on its behalf by the manual or facsimile signature of the Mayor, and attested by the Secretary of the District by the Secretary’s manual or facsimile signature. The Mayor’s execution and delivery of the Bonds shall constitute conclusive evidence of the Mayor’s approval, on behalf of the District, of the final form and content of the Bonds. (e) The Bonds of any series may be issued in accordance with the terms of a trust instrument to be entered into by the District and a trustee to be selected by the Mayor, and may be subject to the terms of one or more agreements entered into by the Mayor pursuant to section 490(a)(4) of the Home Rule Act. Sec. 6. Sale of the Bonds. (b) The Mayor or an Authorized Delegate may execute, in connection with each sale of the Bonds, offering documents on behalf of the District, may deem final any such offering document on behalf of the District for purposes of compliance with federal laws and regulations governing such matters and may authorize the distribution of the documents in connection with the Bonds being sold. (d) The Bonds shall not be issued until the Mayor receives an approving opinion from Bond Counsel as to the validity of the Bonds of such series and, if the interest on the Bonds is expected to be exempt from federal income taxation, the treatment of the interest on the Bonds for purposes of federal income taxation. (3) A contract or contracts based on the interest rate, currency, cash flow, or other basis, including without limitation interest rate swap agreements; currency swap agreements; insurance agreements; forward payment conversion agreements; futures contracts providing for payments based on levels of, or changes in, interest rates, currency exchange rates, or stock or other indices; contracts to exchange cash flows or a series of payments; and contracts to hedge payment, currency, rate, spread or similar exposure, including, without limitation, interest rate floors, or caps, options, puts, and calls. The contracts or other arrangements may also be entered into by the District in connection with, or incidental to, entering into or maintaining any agreement that secures the Bonds. The contracts or other arrangements shall contain whatever payment security, terms, and conditions as the Mayor may consider appropriate and shall be entered into with whatever party or parties the Mayor may select, after giving due consideration, where applicable, to the creditworthiness of the counterparty or counterparties, including any rating by a nationally recognized rating agency or any other criteria as may be appropriate. In connection with, or incidental to, the issuance or holding of the Bonds, or entering into any contract or other arrangement referred to in this section, the District may enter into credit enhancement or liquidity agreements, with payment, interest rate, termination date, currency, security, default, remedy, any other terms and conditions as the Mayor determines. Proceeds of the Bonds and any money set aside and pledged to secure payment of the Bonds or any contract or other arrangement entered into pursuant to this section may be pledged to and used to service any contract or other arrangement entered into pursuant to this section. Sec. 7. Payment and security. (a) Except as otherwise provided by law, the principal of, premium, if any, and interest on the Bonds shall be payable solely from proceeds received from the sale of the Bonds, income realized from the temporary investment of those proceeds, up to $60,000,000 per annum in receipts and revenues realized by the District from the Lottery and Charitable Games Fund, income realized from the temporary investment of those receipts and revenues prior to payment to the Bond owners, other moneys that, as provided in the Financing Documents, may be made available to the District for the payment of the Bonds, and other sources of payment (other than the District), all as provided for in the Financing Documents. (b) Payment of the Bonds shall be secured as provided in the Financing Documents and by an assignment by the District for the benefit of the Bond owners of certain of its rights under the Financing Documents and Closing Documents, including a security interest in certain collateral, if any, to the trustee for the Bonds pursuant to the Financing Documents. Sec. 8. Financing and Closing Documents. (a) The Mayor is authorized to prescribe the final form and content of all Financing Documents and all Closing Documents to which the District is a party that may be necessary or appropriate to issue, sell, and deliver the Bonds. Each of the Financing Documents and each of the Closing Documents to which the District is not a party shall be approved, as to form and content, by the Mayor. (d) The Mayor’s execution and delivery of the Financing Documents and the Closing Documents to which the District is a party shall constitute conclusive evidence of the Mayor’s approval, on behalf of the District, of the final form and content of the executed Financing Documents and the executed Closing Documents, including those Financing Documents and Closing Documents to which the District is not a party. Sec. 9. Authorized delegation of authority. To the extent permitted by District and federal laws, the Mayor may delegate to any Authorized Delegate the performance of any function authorized to be performed by the Mayor under this act. (a) The Bonds shall be special obligations of the District. The Bonds shall be without recourse to the District. The Bonds shall not be general obligations of the District, shall not be a pledge of or involve the faith and credit or the taxing power of the District, shall not constitute a debt of the District, and shall not constitute lending of the public credit for private undertakings as prohibited in section 602(a)(2) of the Home Rule Act. (c) Nothing contained in the Bonds, in the Financing Documents, or in the Closing Documents shall create an obligation on the part of the District to make payments with respect to the Bonds from sources other than those listed for that purpose in section 7. (d) All covenants, obligations, and agreements of the District contained in this act, the Bonds, and the executed, sealed, and delivered Financing Documents and Closing Documents to which the District is a party, shall be considered to be the covenants, obligations, and agreements of the District to the fullest extent authorized by law, and each of those covenants, obligations, and agreements shall be binding upon the District, subject to the limitations set forth in this act. (e) No person, including, but not limited to any Bond owner, shall have any claims against the District or any of its elected or appointed officials, officers, employees, or agents for monetary damages suffered as a result of the failure of the District to perform any covenant, undertaking, or obligation under this act, the Bonds, the Financing Documents, or the Closing Documents, nor as a result of the incorrectness of any representation in or omission from the Financing Documents or the Closing Documents, unless the District or its elected or appointed officials, officers, employees, or agents have acted in a willful and fraudulent manner. (a) Except as otherwise provided in section 10(e), the elected or appointed officials, officers, employees, or agents of the District shall not be liable personally for the payment of the Bonds or be subject to any personal liability by reason of the issuance of the Bonds, or for any representations, warranties, covenants, obligations, or agreements of the District contained in this act, the Bonds, the Financing Documents, or the Closing Documents. Sec. 12. Maintenance of documents. Within 3 days after the Mayor’s receipt of the transcript of proceedings relating to the issuance of the Bonds, the Mayor shall transmit a copy of the transcript to the Secretary to the Council and to the Board of Education. Sec. 14. Multi-Year Facilities Plan. (a) No later than October 1, 2006, the Board of Education shall adopt a Multi-Year Facilities Plan to guide the modernization of District of Columbia Public School facilities. For each proposed project, the Multi-Year Facilities Plan shall include the scope of work to be done, the estimated project cost, the construction start date, and project completion date. (b) No funds transferred to the Board of Education pursuant to this act shall be spent except in accordance with the Multi-Year Facilities Plan. The Board of Education may revise the Multi-Year Facilities Plan. (c) No later than October 1, 2007, and each year thereafter until the completion of all projects designated in the Multi-Year Facilities Plan, the District of Columbia Auditor shall prepare an annual report to the public on the use of the funds during the preceding fiscal year of the District of Columbia Public Schools. The report shall include an audit of all expenditures of Bond proceeds and an assessment of whether the District has met the objectives, including the starting and ending dates for each phase of construction and the completion of each project within its appropriated budget and according to technical specifications, established by the Multi-Year Facilities Plan. The report shall note all changes to the Multi-Year Facilities Plan that alter the objectives or scope of any project. “(c) From the Fund, the Board shall first pay for the operation, administration, and capital expenses of the specific forms of gambling operated and licensed by the Board as authorized by this chapter, including the payment of prizes to winners of games, as specified in this chapter pursuant to regulations promulgated by the Board. The Board shall next transfer funds, not to exceed $60,000,000 per annum, necessary for the repayment of any Bonds issued pursuant to the School Modernization Financing Act of 2005. The remainder shall be paid over by the Board, on a monthly basis promptly after the 1st of the month for the preceding month, into the General Fund of the District of Columbia as general purpose revenue funds of the District of Columbia.”. Sec. 16. Fiscal impact statement.